We are familiar with Mao Zedong’s formula: “Marxism comprises many principles, but in the final analysis they can all be brought back to a single sentence: it is right to rebel against the reactionaries.” This phrase, which appears so simple, is at the same time rather mysterious: how is it conceivable that Marx’s enormous theoretical enterprise, with its ceaselessly and scrupulously reworked and recast analyses, can be concentrated in a single maxim: “It is right to rebel against the reactionaries”? And what is this maxim? Are we dealing with an observation, summarizing the Marxist analysis of objective contradictions, the ineluctable confrontation of revolution and counterrevolution? Is it a directive oriented toward the subjective mobilization of revolutionary forces? Is Marxist truth the following: one rebels, one is right?1 Or is it rather: one must rebel? The two, perhaps, and even more the spiraling movement from the one to the other, real rebellion (objective force) being enriched and returning on itself in the consciousness of its rightness or reason (subjective force). We are already handed something essential here: every Marxist statement is—in a single, dividing movement—observation and directive. As a concentrate of real practice, it equals its movement in order to return to it. Since all that is draws its being only from its becoming, equally, theory as knowledge of what is has being only by moving toward that of which it is the theory. Every knowledge is orientation, every description is prescription. The sentence, “it is right to rebel against the reactionaries,” bears witness to this more than any other. In it we find expressed the fact that Marxism, prior to being the full-fledged science of social formation, is the distillate of what rebellion demands: that one consider it right, that reason be rendered to it. Marxism is both a taking sides and the systematization of a partisan experience. The existence of a science of social formations bears no interest for the masses unless it reflects and concentrates their real revolutionary movement. Marxism must be conceived as the accumulated wisdom of popular revolutions, the reason they engender, the fixation and detailing of their target. Mao Zedong’s sentence clearly situates rebellion as the originary place of correct ideas, and reactionaries as those whose destruction is legitimated by theory. Mao’s sentence situates Marxist truth within the unity of theory and practice. Marxist truth is that from which rebellion draws its rightness, its reason, to demolish the enemy. It repudiates any equality in the face of truth. In a single movement, which is knowledge in its specific division into description and directive, it judges, pronounces the sentence, and immerses itself in its execution. Rebels possess knowledge, according to their aforementioned essential movement, their power and their duty: to annihilate the reactionaries. Marx’s Capital does not say anything different: the proletarians are right to violently overthrow the capitalists. Marxist truth is not a conciliatory truth. It is, in and of itself, dictatorship and, if need be, terror. Mao Zedong’s sentence reminds us that, for a Marxist, the link from theory to practice (from reason to rebellion) is an internal condition of theory itself, because truth is a real process, it is rebellion against the reactionaries. There is hardly a truer and more profound statement in Hegel than the following: “The absolute Idea has turned out to be the identity of the theoretical Idea and the practical Idea. Each of these by itself is still one-sided” (Hegel, Science of Logic). For Hegel, absolute truth is the contradictory unity of theory and practice. It is the uninterrupted and divided process of being and the act. Lenin salutes this enthusiastically: “The unity of the theoretical idea (of knowledge) and of practice—this NB—and this unity precisely in the theory of knowledge, for the resulting sum is the “absolute idea” (Lenin, Philosophical Notebooks). Let us read this sentence very carefully, since, remarkably, it divides the word “knowledge” into two. That is a crucial point, on which we shall often return: knowledge, as theory, is (dialectically) opposed to practice. Theory and practice form a unity, that is to say, for the dialectic, a unity of opposites. But this knowledge (theory/)practice contradiction is in turn the very object of the theory of knowledge. In other words, the inner nature of the process of knowledge is constituted by the theory/practice contradiction. Or again, practice, which as such is dialectically opposed to knowledge (to theory), is nevertheless an integral part of knowledge qua process. In all Marxist texts we encounter this scission, this double occurrence of the word “knowledge,” designating either theory in its dialectical correlation to practice or the overall process of this dialectic, that is, the contradictory movement of these two terms, theory and practice. Consider Mao, “Where Do Correct Ideas Come From?”: “Often, correct knowledge can be arrived at only after many repetitions of the process . . . leading from practice to knowledge and then back to practice. Such is the Marxist theory of knowledge, the dialectical materialist theory of knowledge” (Mao Zedong, Five Philosophical Essays). The movement of knowledge is the practice-knowledge-practice trajectory. Here “knowledge” designates one of the terms in the process but equally the process taken as a whole, a process that in turn includes two occurrences of practice, initial and final. To stabilize our vocabulary,2 and remain within the tradition, we will call “theory” the term in the theory/practice contradiction whose overall movement will be the process of “knowledge.” We will say: Knowledge is the dialectical process practice/theory. On this basis we may expose the reactionary illusion entertained by those who imagine they can circumvent the strategic thesis of the primacy of practice. It is clear that whoever is not within the real revolutionary movement, whoever is not practically internal to the rebellion against the reactionaries, knows nothing, even if he theorizes. Mao Zedong did indeed affirm that in the theory/practice contradiction—that is, in a phase of the real process—theory could temporarily play the main role: “The creation and advocacy of revolutionary theory plays the principal and decisive role in those times of which Lenin said, ‘Without revolutionary theory there can be no revolutionary movement'” (Mao, On Contradiction). Does this mean that, at that moment, theory amounts to an intrinsic revolutionary possibility, that pure “Marxist theoreticians” can and must emerge? Absolutely not. It means that, in the theory/practice contradiction that constitutes the process of knowledge, theory is the principal aspect of the contradiction; that the systematization of practical revolutionary experiences is what allows one to advance; that it is useless to continue quantitatively to accumulate these experiences, to repeat them, because what is on the agenda is the qualitative leap, the rational synthesis immediately followed by its application, that is, its verification. But without these experiences, without organized practice (because organization alone allows the centralization of experiences), there is no systematization, no knowledge at all. Without a generalized application there is no testing ground, no verification, no truth. In that case “theory” can only give birth to idealist absurdities. We thus come back to our starting point: practice is internal to the rational movement of truth. In its opposition to theory, it is part of knowledge. It is this intuition that accounts for Lenin’s enthusiastic reception of the Hegelian conception of the absolute Idea, to the point that he makes Marx into the mere continuation of Hegel. (“Marx, consequently, clearly sides with Hegel in introducing the criterion of practice into the theory of knowledge,” Lenin, Philosophical Notebooks.) Mao Zedong’s sentence lends its precision to Lenin’s enthusiasm. It is the general historical content of Hegel’s dialectical statement. It is not just any practice that internally anchors theory, it is the rebellion against the reactionaries. Theory, in turn, does not externally legislate on practice, on rebellion: it incorporates itself in the rebellion by the mediating release of its reason. In this sense, it is true that the sentence says it all, an all that summarizes Marxism’s class position, its concrete revolutionary significance. An all outside which stands anyone who tries to consider Marxism not from the standpoint of rebellion but from that of the break; not from the standpoint of history but from that of the system; not from the standpoint of the primacy of practice but from that of the primacy of theory; not as the concentrated form of the wisdom of the working people but as its a priori condition. If this sentence says it all, it nevertheless does so according to the dialectic, that is, according to a simplicity that divides itself. What concentrates and sustains this division, while apparently cloaking it, is the word “reason” or “rightness”: one is right, the rebellion is right, a new reason stands up against the reactionaries. The fact is that, through the word “reason,” the sentence says three things, and it is the articulation of the three that makes the whole. 1. It is right to rebel against the reactionaries does not mean in the first place “one must rebel against the reactionaries” but rather “one rebels against the reactionaries”—it is a fact, and this fact is reason. The sentence says: primacy of practice. Rebellion does not wait for its reason, rebellion is what is always already there, for any possible reason whatever. Marxism simply says: rebellion is reason, rebellion is subject. Marxism is the recapitulation of the wisdom of rebellion. Why write Capital, hundreds of pages of scruples and minutiae, of laborious intelligence, volumes of dialectic often at the edges of intelligibility? Because only this measures up to the profound wisdom of rebellion. The historical density and obstinacy of rebellion precede Marxism, accumulating the conditions and necessity of its appearance, because they instill the conviction that, beyond the particular causes that provoke the proletarian uprising, there exists a profound reason, which cannot be uprooted. Marx’s Capital is the systematization, in terms of general reason, of what is given in the historical summation of causes. The bourgeoisie, which cognizes and recognizes class struggle, is happy to admit and investigate the particular causes of a rebellion, if only in order to forestall its return. But it ignores the reason, which when all is said and done the proletarians hold onto—a reason that no absorption of causes and circumstances would ever satisfy. Marx’s enterprise amounts to reflecting what is given, not so much in the particularity of battles but in the persistence and development of the class energy invested in them. The thinking of causes does not suffice here.3 The reason for this persistence must be accounted for in depth. The essence of the proletarian position does not reside in the episodes of class struggle but in the historical project that subtends them, a project whose form of practical existence is given by the implacable duration and successive stages of proletarian obstinacy. That is where reason lies. Only its clarification and exposition—simultaneously in the guise of reflections and directives—do justice to the movement, which rebellion brings to light, of the class being of phenomena. Today only the Maoist enterprise integrally develops what proletarians do and allow us to know through the unconditional and permanent character of their rebellion. Only thus can we say: yes, contradiction is antagonistic, yes, the workers’ rebellion, which is the fire at the heart of this contradiction, is the very reason of history. “It is right to rebel against the reactionaries” means above all: the obstinate proletarians are right, they have all the reasons on their side, and much more besides. 2. “It is right to rebel against the reactionaries” also means: the rebellion will be right, it will have reason on its side. At the tribunal of history, the reactionaries will have to provide reasons, to account for all their misdeeds of exploitation and oppression. The obstinacy of proletarian rebellion is certainly—and this is the first meaning of the word “reason,” or “rightness”—the objective, irreducible character of the contradiction that pits the workers against the bourgeois, but it is also the practical certainty of the final victory; it is the spontaneous, ceaselessly renewed critique of worker defeatism. That the state of affairs is unacceptable and divided—this is the first reason for the rebellion against the reactionaries. That it is transitory and doomed is the second. It is reason, no longer from the standpoint of the motivation or of the moment, but from the standpoint of the future. It is reason in the sense of victory, beyond reason in the sense of legitimacy. Rebellion is wisdom because it is just, because it is founded in reason, but also because it is rebellion that legislates about the future. Marxism repudiates any conception of reason solely based on justification. The proletariat does not simply have true reasons to rebel, it has victorious reasons. “Reason” is here at the crossroads of revolutionary legitimacy and revolutionary optimism. 3. But “reason” means yet another thing, and this thing is the split fusion of the first two senses. This time, “it is right to rebel against the reactionaries” means: rebellion can be strengthened by the consciousness of its own reason. The statement itself “it is right to rebel against the reactionaries” is both the development of kernels of knowledge internal to the rebellion itself and the return into rebellion of this development. Rebellion—which is right, which has reason—finds in Marxism the means of developing this reason, of assuring its victorious reason. That which allows the legitimacy of rebellion (the first sense of the word “reason”) to become articulated with its victory (the second sense of the word “reason”) is a new type of fusion between rebellion as a practice that is always there and the developed form of its reason. The fusion of Marxism and of the real workers’ movement is the third sense of the word reason, that is to say, the dialectical link, both objective and subjective, of its first two senses. We encounter here once again the dialectical status of Marxist statements, all of which are divided according to reflection and according to the directive: grasping, beyond its causes, the reason of class energy. By the same token the theory formulates the rule whereby reason can prevail over the cause, the ensemble over the local, strategy over tactics. Rebellion formulates its reason in practical duration; but the clarified statement of this reason breaks with the still-repetitive rule that commands this duration. Rebellion arms itself with its own reason, instead of simply deploying it. It concentrates its rational quality: it organizes its reason and sets out the instruments of its victory. Knowing that one is right to rebel against the reactionaries, by delivering the (theoretical) reason of this (practical) reason, allows one to make the subjective (organization, the project) equal to the objective (class struggle, rebellion). “Reason,” which initially voiced revolutionary legitimacy and optimism, now speaks of the consciousness and mastery of history. “It is right to rebel against the reactionaries” is indeed a sentence that says everything about historical movement, because it voices its energy, its sense, and its instrument. Its energy is class struggle, the objective rationality internal to rebellion. Its sense is the ineluctable collapse of the world of exploitation and oppression—that is, communist reason. The instrument is the possible direction of the relation, within history, between energy and sense, between class struggle (which is always and everywhere the motor of history) and the communist project (which is always and everywhere the value promoted by the rebellion of the oppressed). The instrument is reason become subject, it is the party. Every truth affirms itself in the destruction of nonsense. Every truth is thus essentially destruction. Everything that simply conserves is simply false. The field of Marxist knowledge is always a field of ruins. Mao Zedong’s sentence tells us the whole dialectic: the class essence of reason as rebellion lies in the struggle to the death of opposites. Truth only exists in a process of scission. The theory of contradictions is wholly implicated in the historical wisdom of rebels. That is why the dialectic has always existed, just like rebellions. The dialectic philosophically concentrates the conception of the world of the exploited who stand up against the existing world and will its radical change. That is why it is an eternal philosophical tendency, which unremittingly opposes itself to conservative metaphysical oppression: “Throughout the history of human knowledge, there have been two conceptions concerning the law of development of the universe: the metaphysical conception and the dialectical conception, which form two opposing world outlooks” (Mao Zedong, On Contradiction). It is always a question of continuing the dialectic, of continuing it against metaphysics, which means: to give reason to the rebels, to say that they are right. Today, to give reason to the true Marxism against the false. To the Maoists, against the revisionists. 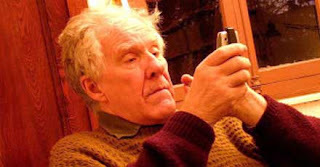 Alain Badiou, a professor emeritus of philosophy at the Ecole Normale Supérieure, Paris, works with Organisation Politique, a postparty organization. He is the author of several successful novels and plays as well as more than a dozen philosophical works. 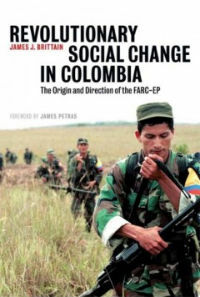 Alberto Toscano is a member of the sociology faculty at Goldsmiths College, University of London. He is the editor, with Ray Brassier, of Alain Badiou’s Theoretical Writings (2004). This is a translation of chapter 1 of Alain Badiou’s Théorie de la contradiction (Paris: Maspero, 1975). 1. On se révolte, on a raison. Throughout this chapter, Badiou plays with the resonance between being right, avoir raison, or considering right, donner raison, and the concept of reason, raison, recast in a partisan Marxist/Maoist guise.—Trans. 2. Marxism-Leninism-Maoism is not a formalism. In it words are caught up in the movement of destruction/construction, which is the movement of real knowledge. If the target is attained, the signs matter little. Whence the fact that words can move around: only their power counts. Yet again, force prevails over the respect of places. 3. Lenin strongly underlines the insufficiency of the category of causality when he argues that Hegel, rather than Kant, is right not to give it any pride of place: “When one reads Hegel on causality, it appears strange at first glance that he dwells so relatively lightly on this theme, beloved of the Kantians. Why? Because, indeed, for him causality is only one of the determinations of universal connection.” Lenin, Philosophical Notebooks. This entry was posted in People's Republic of China, Theory and tagged Alberto Toscano, Badiou, Hegel, Lenin, Mao, Mass Line, Philosophy. Bookmark the permalink.